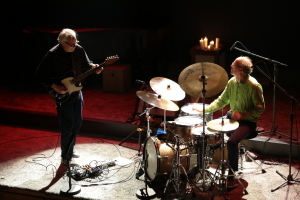 Bill Frisell & Kenny Wollesen’s live set was delectable to say the least! Astonishing performances on either end of the stage, amazingly balanced and imaginative interaction. 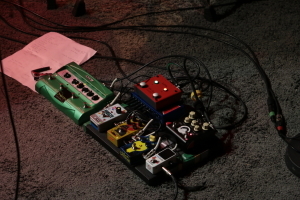 A night of genre defying music effortlessly and generously delivered to a full house at Gazarte. What really stood out was the succession of romance, violence and force coming out of the stage with an unbelievably broad dynamic range. Bill Frisell used a TubeDreamer72 as his main Overdrive pedal throughout the night, which he likes to keep in good company!